Fruit Ninja introduces the Event Progress Bar! Happy new year, Ninjas! We hope you had an awesome and relaxing holiday and that you managed to play some terrific games. Since our return from the break, the team has been hard at work planning exciting new updates and gameplay features to make 2017 the greatest year for Fruit Ninja yet. Our first addition is the event progress bar, a new feature in Event mode that will reward you with a special prize once you fill it up. How do you fill it up, you ask? It’s simple – the currency (e.g. 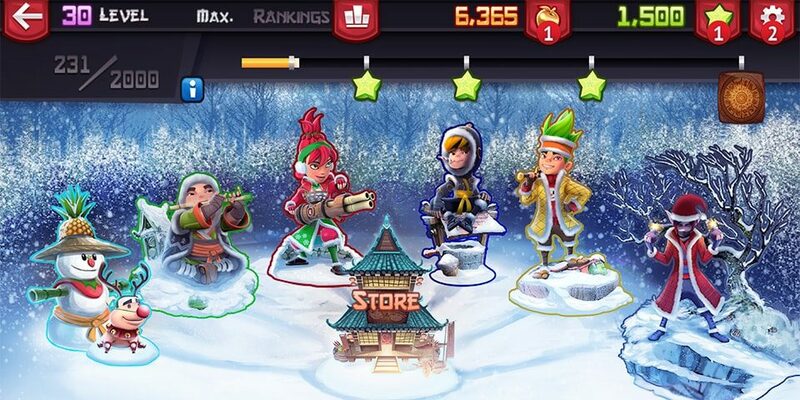 presents in the Christmas event) you earn from playing games in the Event automatically contributes to the bar. That’s not all though – you’ll also earn smaller rewards, like Golden Apples and Starfruit, along the way. The event progress bar is available in our Chinese New Year update, which is now available from the App Store and on Google Play. The final prize this time is the Zodiac dojo, featuring all twelve animals from the Chinese Zodiac. Win it and you’ll be ready for all the Chinese New Years to come! Stay tuned for future updates to the final prize, but for now, download Fruit Ninja Free and let us know what you think in the comments below!